Alongside Cucina’s expert culinary team, Chef Gürsel features a menu that transports foodies to the heart of Istanbul. Start the meal with Circassian Chicken Salad, followed by hot-off-the-grill skewers of chicken, red snapper, lamb and eggplant. 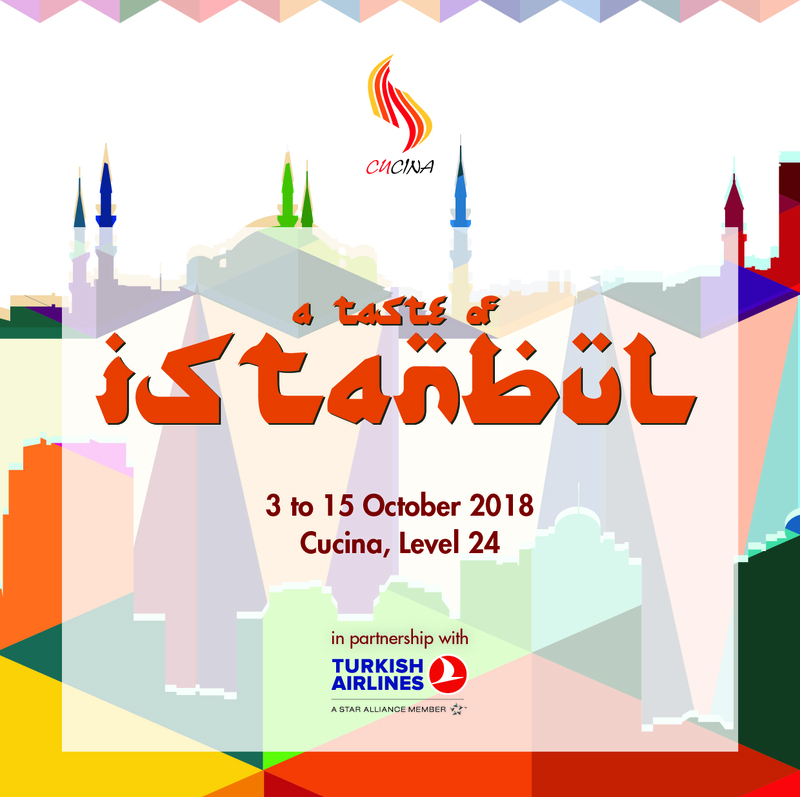 Signature dishes include Steamed Sea Bass in Paper with Vegetables and Herbs (Kagritta Levrek), Pan-Roasted Lamb with Smoked Eggplant Puree (Hunkar Begendi), and Spiced Chicken with Olive Coriander Relish. Top it all off with the staple Pistachio Baklava (Ore Baklava) for dessert, Candied Pumpkin with Walnuts (Kabak Tatlisi), and Fried Dough Balls in Rose Scented Syrup (Lokma). Cucina is located at the 24th level of the Forbes Travel Guide Five-Star Award Winner, Marco Polo Ortigas Manila.